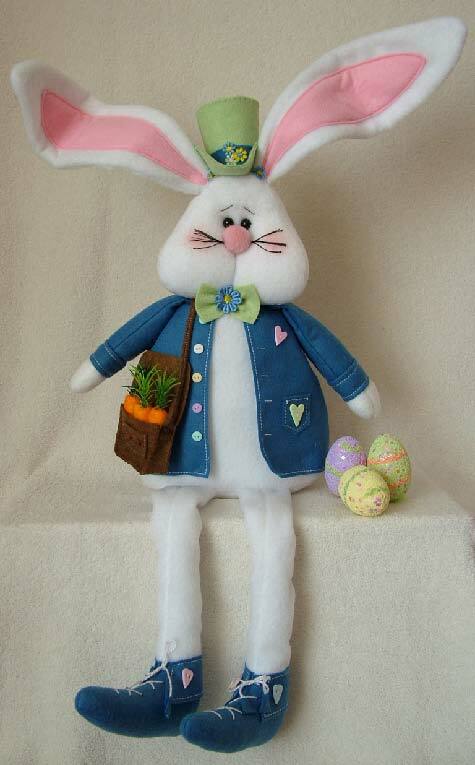 Say hello to this gorgeous bunny designed by Gail Penberthy. Trevor measures approximately 16 inches high and is a fun project to make in time for spring. The kit gives you full instructions on how to make him, along with fleece, felts, beads and a felt ball for his nose. Please not that the kit does not include toy stuffing. TREVOR HAS BEEN DESIGNED AS AN ORNAMENT AND IS NOT A TOY.